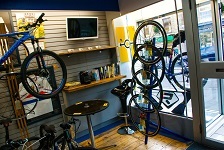 Inspired by the cycling cafe culture of europe, a dedicated area of the shop to enjoy good coffee. 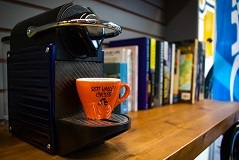 Sip an americano as you peruse the shop for the latest shiny part or come and meet your mates here to start a ride on a Saturday morning and get your espresso fix. 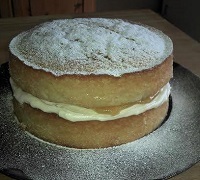 Delicious cakes from The Old Wooden Spoon bakery are now available at the shop. These locally made cakes go perfectly with a nice cup of coffee: what cyclist doesn't like coffee and cake? Only £1 per drink or free when you spend over £25 in one visit.